From now you can save on shipping by buying more in Maquillalia, since the greater the amount of your order, the less you will pay for shipping. FlexiEnvío is presented as a shipping option ideal for any type of order, available in various delivery methods (country) and soon available in Europe. For +5Kg shipments, price will be calculated after you place your order. Please contact us for quotation. All these prices are calculated automatically when ordering on our website. For any questions please contact us at the "Online Support" on our website. Canary Islands, Ceuta and Melilla FlexiEnvío post office pickup. Prices for orders weighing up to 2kg. Estimated shipping time 48-96h on working days from when the order is shipped from our warehouse - IMPORTANT: You may need to pay customs fees to receive your order depending on the value of the same (minimum approx 6.50 Euros), as it VAT invoice. VERY IMPORTANT: CORRECTLY INDICATE YOUR DELIVERY ADDRESS WHEN ORDERING, ANY CHANGE OF ADDRESS WHEN ORDERING STATE PASS " PREPARING " MEANS A 3 EUROS EXTRA EXPENSE OF FURTHER DELAY IN 3 DAYS OF YOUR DELIVERY ORDER . IMPORTANT NOTE: The times for all shipping methods shown are estimates also start counting from when the order has left our warehouse ships . In seasons promotions or discounts can be delays in the departure of the order from our warehouse . If your order has not gone to the next 3 working days to the making and paying for your order please contact us and we will inform you of the estimated shipping and delivery time period . In normal days , all orders placed and / or paid before 12 noon ( time in Spain ( peninsula - GMT +1 ) ) will be shipped the same day. Verification of transfer payments is made from Monday to Friday (weekdays ) at 12 noon. If you have paid your order by income after 12 noon will be checked the next day. Transfer payments may be delayed to arrive to our account until 72h . working . Shipping products to the Canary Islands, Ceuta and Melilla may be subject to customs charges for shipment arrival to destination. These expenses are not going to stop Maquillalia nor are our responsibility and we can not take care or know the exact amount to pay to receive an order ( according to some customers, may vary from 6 to 18 € , according to amount of order). Check with your post office before ordering indicating the euro amount of the order you want to do , so they can tell . Guarantee of origin . If at the time you receive your product it is encontrase defective will be replaced , completely free , for a new product, provided the product has not been used . By decision Maquillalia discount for certain products and a refund instead of exchange shall be done after checking their status . If change is necessary to return the entire source material and that the goods have not been tampered with or altered , it is in perfect condition with all its original protective packaging or plastics . Please contact us when to process before product change from the " online support " section of our website. Pack the product as far as possible as you receive it, to prevent damage during transport. Do not use adhesive tape or write on the original packaging. You must enclose a copy of the invoice or voucher in it. Ship to the shipping agent pick up the package, and after review of the product and checked the default, it will send out a new product to the customer in the shortest possible time. Otherwise ( ie , if the product did not present any anomaly ) the client will receive , again, the same product. You can request your returns number via the contact section of our website is essential to certify the return number on the outside of the package. Important: any product that has suffered damage in the packaging or the product itself is not acceptable , recommend not removing the protective plastic if any to check the perfect functioning of your article. Manufacturer Warranty . All of our products enjoy a two year limited warranty. In case of failure just contact us and we will manage the repair of the product. Alternatively also recommend going to the official service of the brand (SAT ) . In almost every city there is an official SAT and be found by calling your customer brand . Before you send your item you must contact us to let us shipping and return authorization . Pack the product in a closed and perfectly conditioned package to prevent damage during transport. Include a brief description of what happens to the product and a copy of the invoice or receipt. Important: Any tampering or repair by unauthorized personnel will void the warranty . Always contact Maquillalia SL official SAT or brand . Wrong product . If the product delivered does not match the content of the order must notify us immediately. Contact us via the contact section of our website and process your issue as soon as possible. Credit Card. You can pay with your Visa, Visa Electron, Maestro and Mastercard through the PayComet secure payment gateway. You can also store your card's data in order to use it for future orders with just one click. Maquibeauty does not store cards data, the service is provided by PayComet (www.paycomet.com), a company authorized by the Bank of Spain. All cosmetic products are labeled color in the description and also can be viewed with larger color image zooming Product. Because the color display on your monitor depending on your settings and the same may be a color variation with respect to reality. Receomdndamos get information from other sources regarding the color (physical store, product reviews forums, blogs, etc ...) if you want to confirm the subjective color of the product. Cosmetics not include instruction manual. With electrical products usually include an instruction manual in Castilian in the sales package. In some cases it may even happen that we do not have the manual in Castilian or in Castilian manual is available only through the manufacturer's website in PDF format. The prices shown include VAT and are valid for the peninsula and the Balearic Islands. Prices do not include shipping costs or, where applicable, COD. All sales are made to the relevant ticket or invoice you receive with your order. The customer browses our online store incorporating the cart those items you wish to buy, with a maximum of 6 identical items of each type per person and / or per order. Once you make your selection of items, choose the method of payment and shipping. Prior to the order, you must register by filling out a form with your personal data, or connect with your password in the event and be registered, to complete your order. Once this process is complete you will receive an message to your email with all the details of your order. If your email is free (Hotmail, Yahoo, Terra, Gmail, etc..) It is possible that this message is stored in the "Spam" or Spam folders. The minimum age to make purchases in our online shop is 18. Important: We recommend checking the copy of the order will come to your email to verify that your billing, shipping, etc. are correct. This will help avoid any delays or problems in delivery of your order. All orders are shipped via insured shipping companies we work with. The delivery time depend on the destination, usually being from 2 to 4 working days (excluding incidents caused by malfunction or excessive transportation orders due to promotions) from receipt thereof. Delivery in a remote village often difficult so the carriers do not pass daily and may delay delivery. Shipments and deliveries are made Monday through Friday, excluding holidays. The amount of shipping is automatically calculated at the time you place your order, depending on the destination and method of payment. To know exactly what it will cost your order select the products you wish to purchase and click "buy". Then select the destination and select the payment method and the shipping method. Appears, fully detailed, the total amount of your purchase, including shipping. At that point you can decide whether to continue or not with the purchase process. To continue with your order, press "Confirm Purchase". Please contact us if you have any questions. IMPORTANT NOTE: The times for all shipping methods shown are estimates also start counting from when the order has left our warehouse ships. In seasons promotions or discounts can be delays in the departure of the order from our warehouse. If your order has not gone to the next 3 working days to the making and paying for your order please contact us and we will inform you of the estimated shipping and delivery time period. In normal days, all orders placed and / or paid before 12 noon (time in Spain (peninsula - GMT +1)) will be shipped the same day. Verification of transfer payments is made from Monday to Friday (weekdays) at 12 noon. If you have paid your order by income after 12 noon will be checked the next day. Transfer payments may be delayed to arrive to our account until 72h. working. Shipping products to the Canary Islands, Ceuta and Melilla may be subject to customs charges for shipment arrival to destination. These expenses are not going to stop DSM BEAUTY nor are our responsibility and we can not take care or know the exact amount to pay to receive an order (according to some customers, may vary from 6 to 18 €, according to amount of order). Check with your post office before ordering indicating the euro amount of the order you want to do, so they can tell. VERY IMPORTANT: CORRECTLY INDICATE YOUR DELIVERY ADDRESS WHEN ORDERING, ANY CHANGE OF ADDRESS WHEN ORDERING STATE PASS "PREPARING" MEANS A 3 EUROS EXTRA EXPENSE OF FURTHER DELAY IN 3 DAYS OF YOUR DELIVERY ORDER. 4.1. Check Shipping Methods. To view the available shipping methods, please visit the appropriate section on our menu information. To view the payment methods available, visit the appropriate section on our menu information. DSM BEAUTY guarantees its customers the option to cancel your order at any time provided that the cancellation is communicated before the order has begun to be prepared (state "Preparing") or has been made available to the carrier for shipment (State " Sent "). All shipments are insured against theft, loss or damage. If you notice any damage or manipulation package receive indicate this in the delivery of the carrier. Please inspect your order upon receipt. You should contact any incident within 24 hours. 9.1. Guarantee of origin. If at the time you receive your product it is encontrase defective will be replaced, completely free, for a new product, provided the product has not been used. By decision DSM BEAUTY discount for certain products and a refund instead of exchange shall be done after checking their status. If change is necessary to return the entire source material and that the goods have not been tampered with or altered, it is in perfect condition with all its original protective packaging or plastics. Please contact us when to process before product change from the "online support" section of our website. Pack the product as far as possible as you receive it, to prevent damage during transport. Do not use adhesive tape or write on the original packaging. You must enclose a copy of the invoice or voucher in it. Ship to the shipping agent pick up the package, and after review of the product and checked the default, it will send out a new product to the customer in the shortest possible time. Otherwise (ie, if the product did not present any anomaly) the client will receive, again, the same product. 9.2. Manufacturer Warranty. All of our products enjoy a two year limited warranty. In case of failure just contact us and we will manage the repair of the product. Alternatively also recommend going to the official service of the brand (SAT). In almost every city there is an official SAT and be found by calling your customer brand. Important: Any tampering or repair by unauthorized personnel will void the warranty. Always contact DSM BEAUTY SL official SAT or brand. 9.3. Wrong product. If the product delivered does not match the content of the order must notify us immediately. Contact us via the contact section of our website and process your issue as soon as possible. The use of this website http://www.maquibeauty.com owned DSM BEAUTY, SL, is completely voluntary and implies full acceptance of who has access to it, on, the User of all General Conditions of Use applicable at all time that they are in this direction, so the user must read and accept without any reservations the present LEGAL NOTICE before any operation, viewing, use, etc.. with these websites. DSM BEAUTY, SL reserves the right to modify at any time these Terms and Conditions of Use and any other general or, use regulations or warnings that may apply. It reserves the right to modify at any time the presentation, configuration and location of the Web Site and the contents and the conditions required for its use. DSM BEAUTY Ltd., provides free and clear information to users about the products and services it provides to its customers, their characteristics and information about the entity. In http://www.maquibeauty.com, links could be made to other sites, which are not managed by DSM BEAUTY, SL These links are from other sources, assuming no inclusion recommendation, invitation or suggestion to visit landing pages and therefore DSM BEAUTY, SL disclaims any liability that may arise when accessing these pages. You acknowledge and agree that all rights to intellectual property on the content and any other elements on the Web Site are DSM BEAUTY, SL or its licensors, except as mentioned in the previous section concerning hyperlinks. DSM BEAUTY, SL He holds the elements of the graphic design of your website, menus, navigation buttons, HTML code, text, images, textures, graphics and other content on the website or in any case, has the authorization for the use of such elements. Therefore, the User is only authorized to view all the material and content of this page as it is presented as a single computer download a copy of the material for personal and private use, not for commercial purposes, provided that you comply with all regulations of intellectual property. It is prohibited to remove, ignore or manipulate the "copyright" and other data identifying the rights of http://www.maquibeauty.com as well as technical protection devices or any mechanism that could contain the contents. -That printing does not believe that any content or web DSM BEAUTY, SL belong or have been designed by the owners, managers or advertisers on the site from which the link is established. The conditions of access to and use of this website is strictly governed by the law and the principle of good faith the user to make proper use of the website and the services offered. Contents advertising or commercial information directly or covertly, spam (sending mass mailings) or sending large messages to block network servers. DSM BEAUTY, SL in compliance with the provisions of Article 10 of Law 34/2002 of Services of the Information Society and Electronic Commerce, through its Web site provides access, by electronic means, permanently, easy, direct and free , information on their company name, tax information, registration, address and communications. For the purposes of Organic Law UE 679/2016 (GDPR) of Proteccióón of Personal Data, and in compliance with Section 5 of that code, we inform you that your personal data will be included in a file called "CUSTOMER" ownership DSM BEAUTY SL residing at C / Valle Niza 39 29004 (Málaga) email: info@maquibeauty.com. Such data are collected in order to create and maintain a customer record in our database, so that customers can view their order history and place new orders without having to fill in your personal information again. He also informed that in that direction if necessary may exercise rights of access, rectification, cancellation and opposition under Articles 13 and following of the Organic Law of Protection of Personal Data. To use our website using cookies is required. Cookies are used in order to save your preferences and shopping cart orders until the next connection to our online store. If you wish, you can set your browser to be notified on screen receipt of cookies and to prevent the installation of cookies on your hard drive. Please read the instructions and manuals on your browser for more information. The protocol is a stateless protocol, which means that it lacks the means to relate information concerning a request to another prior or subsequent request. This protocol does not know the person you are sending a page or how many pages you have been able to send, even though we have a few seconds before sparsely connected, as each page request is processed independently. DSM BEAUTY, SL declines all responsibility in the event that access or visits to its website be impossible or difficult due to a breakdown or defective provision of electricity, telephone or other telecommunications providers outside DSM BEAUTY, SL supply, or if it occurs social conflicts or other force majeure, or any actions of third parties, including the requirements or administrative or judicial, sabotage or saturation, intentional or not orders. Any liability for damages that may occur to the visitor on their computer or telematic means of production as a result of any of the circumstances outlined above also declines. DSM BEAUTY, SL not guarantee the availability and continuity of the Web Site and is not responsible for any damage caused or likely to occur in the future, or technical defects, whatever their nature, derived from the use of information and materials contained in the Web http://www.maquibeauty.com. Within the limits established by law, DSM BEAUTY, SL assumes no liability for the lack of updating and accuracy of the data or information contained in their Internet sites. I - PURPOSE AND SCOPE. These provisions are intended to regulate the use of electronic services selling different goods and services offered by DSM BEAUTY, SL, trading company that operates through the Internet from their website (http://www.maquibeauty.com) as retail cosmetics and beauty tools. The clauses included in these Terms and Conditions are binding on both parties and are an integral and inseparable part of the contract of sale which effectively operates at the time of signing the order at the request of the client, through contracting mechanisms will be specified later , all in accordance with the provisions of art. 1255 of the Civil Code which enshrines the principle of freedom of contract and agreements between the contracting parties. For all purposes be deemed that the customer / user accepts the conditions relating thereto pressing the "OK" button that appears at the bottom of this document. To ensure in full the rights of consumers and service users DSM BEAUTY shopping, SL these General Conditions are established in accordance with the provisions of RDL 1/2007 (16th November, BOE 30th November) for the Defence of Consumers and Users, Law 7/98 of 13 April General Conditions of Contract, Law 7/96 January 15 of the Retail Market, Civil Code, Directive 2000/31 EC of the European Parliament and of the Council of June 8, Law 34/2002 of July 11, services of information society and electronic commerce and regulations implementing them. II -. IDENTIFICATION AND COMPANY NAME COMPANY OFFERING. DSM BEAUTY SL, as a provider of its sales through the Internet e-commerce provides its registered office in Spain, C / Valle Niza 39, 29004 Malaga, Entered in the Mercantile Register of Malaga, Volume 4443 General, Book 3670 Section 1 of societies, folio 180, sheet MA-95819 Entry 1, with CIF B93010122. Serves sales through internet website: http://www.maquibeauty.com. The address for claims indicated as correspond to the registered office of the company. According to art. 1 RD 5/1997 January 14, there are available to our customers, complaint forms at the registered office of the company. The General Conditions governing the provision of services sales, procurement of products and services offered by DSM BEAUTY, SL and advertising to your clients / customers all through your web page as well as the rights and obligations of the parties relating to the transactions of sale concluded between them. In some cases, the client may choose to collect a certain item in the headquarters of DSM BEAUTY, SL provided it has notified by telephone. The rights to the intellectual property (including, and without limitation trademarks, logos, text, photographs, icons, images .... as well as graphic design, source code and other software elements content on page http://www.maquibeautycom are the property of DSM BEAUTY, SL or wholesale companies and manufacturers of products and services offered. therefore are subject to intellectual property protected by Spanish and international law. Without the prior written authoritative form DSM BEAUTY, SL, or, where appropriate, the wholesaler or the manufacturer of the product rights holder approval, you may not use, reproduce, transmit, manipulate, or any use beyond of a normal and necessary to visit the site and use of services offered use. Access to the services provided by not supposed DSM BEAUTY, SL waiver, transfer or total or partial transfer of rights arising from intellectual property, or assigning rights to use, modify, use, reproduction, distribution or public communication of these contents without the prior express written consent of the respective owners these rights, without prejudice to the right to view and obtain private backup such content, provided that such right is exercised according to the principles of good faith and always keeps unchanged the intellectual property of the owner of such rights, noncommercial use is exclusively for your personal information. The derivative liability for the use of materials protected by the rights of intellectual property contained on this page rests solely with the user. V. - OFFER AND ACCEPTANCE PROCESS, TERMS OF SALES AND PRODUCT DELIVERY. Pricing Policy: DSM BEAUTY, SL reserves at all times and unilaterally changing the price of products and services offered through your website. To ensure the customer the assurance and security prices of their products, this will be the effect on the advertising at the time of the order. Sometimes, it is likely that we do not have Castilian operation manual for some items, but DSM BEAUTY, SL were possible to submit the manual to the customer, in any medium, in the hypothetical case above the manual is to language other than Castilian. Register as a customer in the MY ACCOUNT tab. Enter rubric categories, where you can find information on the product offered to customer: Technical details, description, brand manufacturer, photography (if any) and estimated delivery time. Selection by the user of the product you wish to purchase. Selection by the user add to shopping cart option. Completion by the user of the order form and delivery address. User information on the products included in the basket. Confirmation of the delivery address, choice of payment by the user and user information on the rates of postage required. Information on shipping costs contrarreembolso (if any) applicable to the request made by the user. Information of the final price or retail price of the product containing the same acquire the final cost to the customer including VAT, shipping, insurance and handling of goods by transport. The final cost therefore will be reported to the customer in the e-procurement process before it formalizes its acceptance, acceptance selecting Order option from the options menu. Acceptance of Terms and Conditions and Order Processing and formalizing a DSM BEAUTY, SL to make the purchase. Any discounts or promotional gifts are freely arranged DSM BEAUTY, SL collective office at any time by DSM BEAUTY, SL, or because the product offered, according to obrante advertising every time their website. In any case, the products offered with specific discount shall indicate the duration of the offer and the price. At the time of placing the order once used the menu option means accepting the order provided the consent of the client and the validity and effectiveness of the purchase contract that binds the parties. However, DSM BEAUTY, S.L. assumes no responsibility for those products in which the provider has expanded its delivery or manufacture of the products. Purchase subject to collection: The commitment of DSM BEAUTY, SL Information and clearance of goods offered is subject to stock availability of the advertised product and stocks last, so DSM BEAUTY, SL in its commitment to quality and customer service at all times that try advertised products are available. However in exceptional circumstances interactive multiple orders or those which cause the stocks of the product, the order and contract between the parties is void under this clause, fully restoring the client in case of prepaid amounts paid by it, without it being necessary for any of the indemnification in respect of breach of contract, damages or lost profits parties. In cases where the product sale is conditional upon the availability of the manufacturer, the seller may deliver a product of equivalent quality and price, replacing the request of the consumer, provided they do not pose a demerit of the qualities and services advertised , and with the prior consent of the client. 1.-Bank transfer: By bank transfer in favor of the (s) account (s) Bank (s) owned by DSM BEAUTY, SL published on its website. 2.-Credit Card By paying by credit or debit card for the (s) account (s) Bank (s) owned by DSM BEAUTY, SL posted on its website and made via a secure SSL server of our bank "Bankia". 3.-Paypal: Use the Paypal payment for the account (s) account (s) owned by DSM BEAUTY, SL published on its website and made via a secure SSL PayPal server. - Invoice: Once you have paid for the customer DSM BEAUTY, SL shall forward physical receipt or invoice to the customer's home or virtual email address designated by the bill. -Delivery of purchased product: within 24/96 hours for the actual delivery of the product purchased, you start counting from is established that DSM BEAUTY, SL has knowledge of the product payment made by the client to the prepayment system, and order acceptance from the option of cash on delivery. In the event of delayed more than 20 days upon receipt and within approximately as long as the delay is attributable to DSM BEAUTY, SL, upon written customer complaint delivery, it may unilaterally cancel the order, restoring if the prepayment amounts paid, and the parties agree that any claim not appropriate damages, present or future, direct or indirect, or under the rules of damages or profits. These deadlines only apply to Peninsula and Balearic Islands. - Place and method of delivery: The order will be delivered to the address designated at the time of recruitment by the customer. Subsequent changes requested by the client of delivery, may generate additional costs on the selling price. The goods will be delivered to the customer by shipping company, along with the packing slip that information identifying the customer order price (for mode COD), number of packages and products containing be entered. For verifying the client error with the goods received or that it be visually damaged, you should provide these circumstances either telephone or via via fax or email, using the service client published on its website or the registered office of the company within 24 hours. The goods are at all times cover against transport risk, loss and manipulation. The products whose nature corresponds to consumer goods like makeup, eye shadow, lip gloss and stripes, nail polish etc ... can not be exchanged or refunded if they have been used. The normal product warranty offered by DSM BEAUTY described above, SL through their Web pages is two years. Contact directly with DSM BEAUTY, SL through any means of contact posted on its website, so that you can deal with the handling of the product and take it to a specialized site. The guarantee of the products sold by DSM BEAUTY, SL lends and provides for DSM BEAUTY SL or directly by the product manufacturer under the conditions of handling, proper use and conservation in the deadlines contained in the express warranty statements accompanying them all. The customer may choose to send the product directly to the manufacturer or DSM BEAUTY SL for the processing of a product warranty. ¥ packaging and other contents (manuals and controls). The warranty is void if factors outside the normal use of the product, such as increases or decreases in tension, use of improper or prohibited by accessories manufacturers, falls, water, fire or improper or abusive handling by the customer or by third parties not authorized by the manufacturer. The warranty shall begin on the day of delivery and / or acceptance of order. The provisions of this warranty does not exclude the benefits from the legal guarantee provided for in Articles 913 and Civil Code hidden defect default (s) (s) (s) to the buyer. - Privacy and security of personal customer data in accordance with the provisions of the Spanish legislation on data protection. - No distribution, transmission or publication of customer data without your express consent. - No promotional or advertising without the express consent of the customer emails. - Check, modify, delete the customer data held by the database DSM BEAUTY, SL on request. - Know at all times the status of processing the order placed. - WITHDRAWAL: The buyer has the right to freely withdraw from the contract concluded, following along unilaterally, in accordance with Article 44 of Law 7/1996 of 15 January retail trade, as amended by Law 47 / 2002 of December 19, 2002. 2 -. Goods prepared in accordance with the consumer's specifications or clearly personalized or which by their nature can not be returned or are liable to deteriorate or expire rapidly.
. 3 - Provision of sound recordings or video, disc or computer software which were unsealed by the consumer, as well as computer files that can be played with immediate effect for permanent use. Deadline: To cancel the contract the buyer shall have a period of seven working days from the day of receipt of order. It will be the law of the place where it has been delivered that determines which days are to be borne by business. Form: The right of withdrawal is not subject to any formality, and can be performed without mentioning the causes, and sufficing to be notified DSM BEAUTY, SL, crediting in any form. It may also be done by submitting the withdrawal document or accompanying resolution, duly completed by the applicant. Expenses: Expenses incurred for the return of the product shall be borne by the buyer, it must also satisfy the compensation due for the damage which has occurred in the products purchased. Exceptionally, DSM BEAUTY, SL only bear the direct costs of the return, if the client exercise the right of withdrawal, if it comes to products supplied by the Company of equivalent quality and price replacement specifically requested by the consumer. d) that are returned complete, with all its main elements and accessories, including manuals. If those requirements are met, DSM BEAUTY, SL will proceed to refund the money. Where appropriate refund, the seller is obliged to reimburse the sums paid by the buyer without any restraint (except shipping, and handling of contrarreembolso) as soon as possible and no later than thirty days after the resignation or return. IX -. OBLIGATIONS OF THE USER / CLIENT. -Keep your personal key with due diligence. - Use the information published by DSM BEAUTY, SL exclusively by the client strictly within the staff proposed business relationship. -Not reproduce, sell or dispose of the information published by DSM BEAUTY, SL in its contents without express permission of this. - Use faithfully shopping service provided by DSM BEAUTY, SL on your website and refrain from manipulating the contents of your website, or interfere with your computer means through viruses or other conduct prohibited by law. - Respect the purchase agreement once accepted the order, with the timely payment of the agreed price. - Save, modify, suspend its website without prior notice. - Modify, in whole or in part, these general conditions, continue to apply the new agreed that the Company from the time of insertion into the page. In any case, these changes will not have retroactive effects on the products and services previously contracted by customers / users. - Modify the price bids, purchase system prior advertising. - I Reject order stockouts or customer default. - To receive the amount of customer purchases accepted the transaction. DSM BEAUTY, SL not be liable for interruptions that occur in electrical or telecommunications services that prevent clients / customers use the services offered. The contract may only be formalized in Castilian. These Terms are governed by Spanish law. The parties submit, at its option, to resolve conflicts and to waive any other jurisdiction, the courts of your domicile. 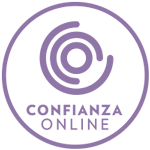 Also, as an entity attached to TRUST ONLINE and in terms of its Code of Ethics, in case of disputes relating to recruitment and online advertising, data protection, child protection and accessibility, users can go to system-of-court dispute resolution TRUST ONLINE (www.confianzaonline.es), embodied in the Jury of Advertising and the National Consumer Arbitration Board.